2007 - Today. Matteo opens his studio in Milan in 2007. Flexible , Economical and Environmentally Sustainable , High Design Integrity are daily commitment of Matteo and his Team to create clever aesthetically beautiful design solutions for a modern living. Since opening his Headquarters in Milan, Matteo has undertaken projects around the world in: United Arab Emirates, Kosovo, Maldives, France, Israel, New York, Switzerland, Kenya, Uruguay, St Barth, Italy, etc. On 19 April 2013 Matteo Fantoni gains important recognition when he comes 3rd in the International Design Competition for the Padiglione Italia at the Milan 2015 Universal Exposition. Matteo has been visiting professor at the Brera Academy Milan, holding a course in Virtual Architecture between 2011-14. In 2014, invited to partecipate in the design competition for piazza Castello (Milan), he experimented participative design in the urban planning process by meeting people, sharing experiences and listening to their needs. In 2015 started the collaboration with The Student Hotel, whit whome he is developing the projectsi in Bologna and Rome. In the last years Matteo held speaches participating in International conferences about Future Urban Developement and Innovative Approaches to Architecture in India (Taking Design to Masses, Design relevant to improve everybody day life), Florence (Sustainable Architecture) and Venice (Design Earthquake Buildings). 1991 - 2007. Partner at Foster and Partners, London - UK. 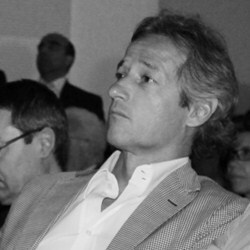 At Foster and Partners he was responsible for a wide variety of projects around the world (Spain, Switzerland, Singapore, Germany, Italy and Japan), in each case holding a position of responsibility in the design and management of projects right through to their realization. In 1994 he opens Foster and Partners's Berlin studio for the design and construction of the Reichstag - The New German Parliament Building, managing a 50-strong design team. On completion of the work he returns to London in 1997. Between 1999 and 2003 he designs and builds Chesa Futura, a new residential building in St. Moritz, conceived with the most up-to-date technologies such as 3D mapping and 3D control prefabrication. The Murezzan, a new 25,000 sqm development also in St. Moritz, designed and constructed between 2001 and 2006, required strong commitment and substantial design and project management qualities. In 2004 he plans the Masterplan for Milano Santa Giulia, a 700,000 sqm project. Also in 2004 he leads a team of 50 people for the Fiera di Milano Redevelopment competition, sharing the design responsibility with Norman Foster and Frank Gehry. Important professional experience gained in undertaking the design of railway installations, as head of design for the Tav Railway Station - Santa Maria Novella, Florence in 2002 and the Singapore Expo Station in 2001. In 2007, having gained significant professional experience, he decides to return to Italy to open his own Studio.